Hungry? A new neighborhood Mediterranean spot has you covered. The new arrival to Wilshire Center, called House of BBQ, is located at 3909 Beverly Blvd. 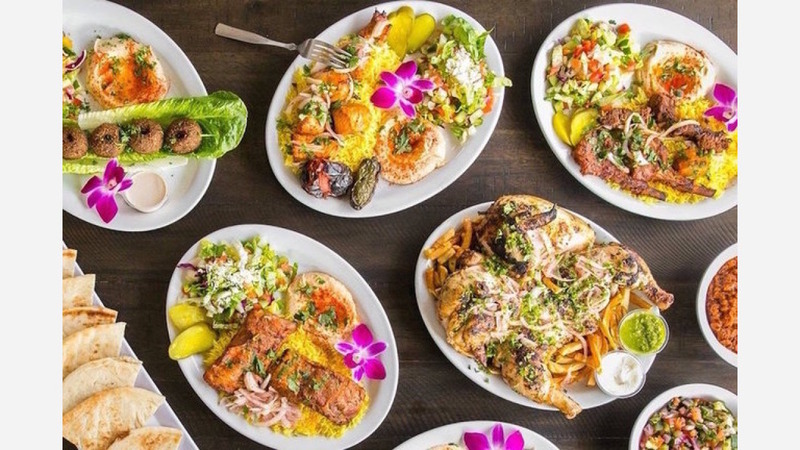 They are "literally creating magic in the back kitchen," says Yelper Maureen D. With an assortment of classic and flavorful Mediterranean dishes, for carnivores and vegetarians alike, there is truly something for everyone at this little gem. Menu offerings include a variety of wraps and lunch plates as well as hummus and velvety dips. Try the baba ganoush, a smooth, creamy dip made with roasted eggplant, mixed with sesame sauce, topped with olive oil and accompanied with a fresh serving of warm pita bread. With a 4.5-star rating out of 10 reviews on Yelp so far, House of BBQ is getting solid feedback from the clientele. John S., who was among the first Yelpers to review the new restaurant on April 23, said: "The food is excellent in terms of quality of flavor and ingredients, price, and portion size. I was shaking my head throughout the meal in sheer delight, as I usually do when I come into contact with divine, honest food." Yelper Farangiz U. added: "Lovely lunch today. I highly recommend it. The food and customer service were amazing. A very good experience." And Daniel L. said: "House of BBQ serves amazing, fresh pita bread (made daily), hummus, and great chicken wings seasoned to perfection. The restaurant is clean and welcoming. If you're looking for great Mediterranean food in K-town, this is it! P.S. get the garlic white sauce. You won't regret it!" Head on over to check it out: House of BBQ is open from 11 a.m.-11 p.m. on Monday and Wednesday, 5 p.m.-11 p.m. on Tuesday, 11 a.m.-midnight on Thursday-Saturday, and noon-11 p.m. on Sunday.